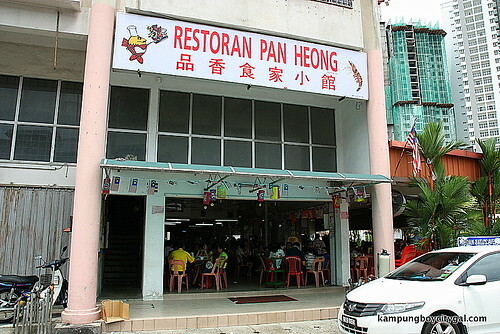 Pan Heong is such a legendary eating establishment in other part of town – Batu Caves. 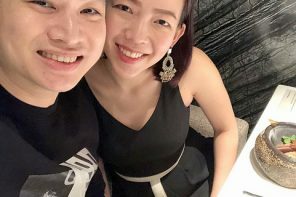 With cheap, affordable pricing and no frills interior; Pan Heong is not intended to be a gourmet restaurant, but as places where one can enjoy comfort food in the company of friends. 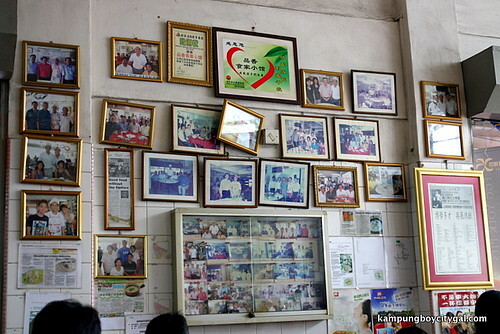 This Batu Caves most famous restaurant boasts wall photos of visiting celebrities and politicians throughout the years. The newspaper cutouts are solid testaments to their popularity too. 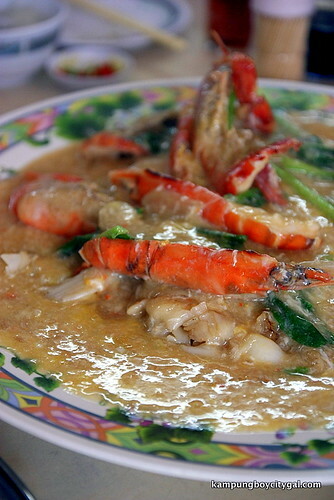 Sang Har wat dan hor (RM 68 for 4 pax) is one of the main reasons people flock to this restaurant. Imagine luscious fresh water prawn and kuey teow (flat rice noodles) drowned in a thick gravy in bright orange hue (from the prawn roe). Upon taking the very first bite, we were pleasantly surprised at how delicious it was! The medium sized prawns were sweet, succulent and springy to bite. 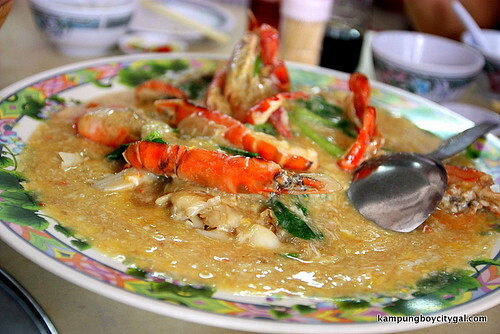 The kuey teows were so smooth and the eggy gravy was well enhanced by the prawn flavour. Absolutely divine! The stewed pork was very flavourful, and with the right ratio of fats versus lean meat, it almost melts in the mouth. 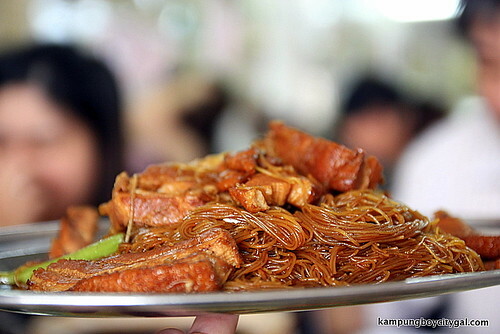 The mee hoon packed plenty of wok hei too! 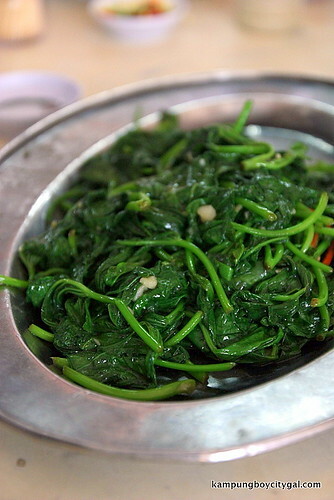 This must be another must order dish at Pan Heong. It was cooked just right: the velvety smooth porridge was neither too thick nor watery. The robust fish slices were fresh and chunky while the century egg has a nice, creamy centre. One bite into these beauties and we were transported to heaven! 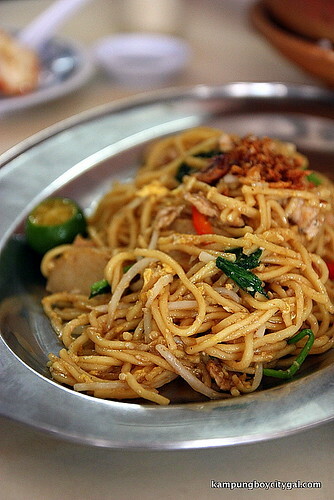 Mee Mamak Goreng (RM 10.50 for 2 pax). It was sweet and spicy at the same time; but pales in comparison with the excellent dishes we had before this. Nam Yu (fermented bean curd) Pork (RM 25). 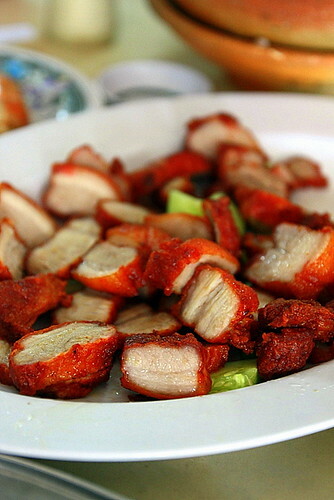 Fried till crispy, the nam yu pork was extremely flavourful and addictive. However, we found some pieces to be too lean and tough while some were delightful delicious with a right amount of fattiness. Even our order of Sweet Potato Leaves (RM 13) tasted so good that it vanished in split seconds! All in all, Pan Heong serves very good food at a reasonable price. 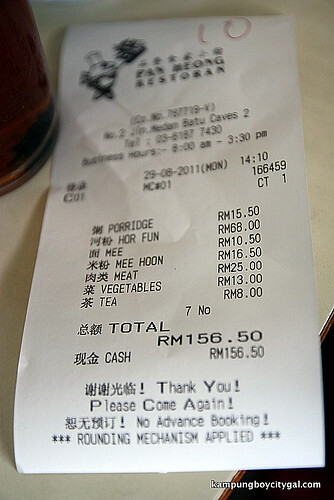 Each of us paid about RM 22 for all that food! Parking is horrendous and the crowd is crazy, so be there as early as 11am for lunch. Opens from 8am to 330pm daily. I love the food here. So worth the drive there. .-= Baby Sumo´s last blog ..Tianje Mooncakes by Tatawa =-. 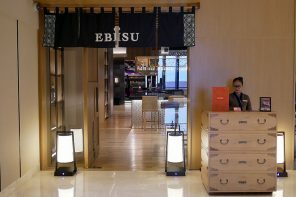 awesome recommendation, been there a few times but would avoid “rush” hours though. 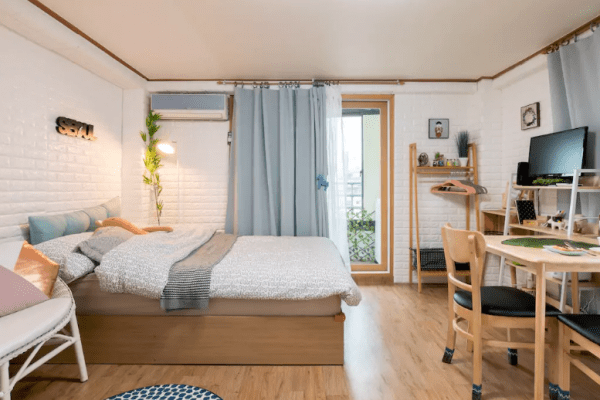 can be extremely packed. .-= KY´s last blog ..Lang Tengah dive trip, Day 2 (UW Photos) =-. Yummy! 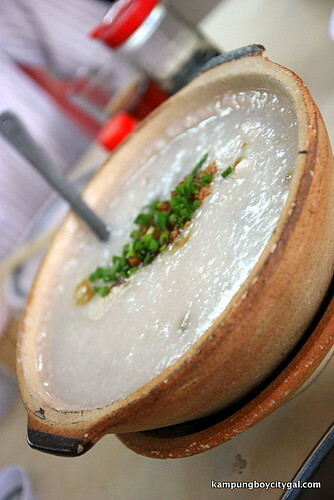 You got me salivating here with all the yummy pictures of my must-order dishes in Pan Heong! .-= Precious Pea´s last blog ..FIRST DAY OF SPRING 2011 =-. hehe i know its ur fav rest! Yeah, the crowd and the distance away from home might be the reasons I am still shunning this. But I should not! 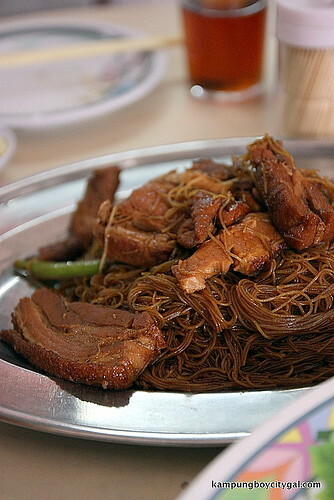 Look at those PORK on the bee hoon… and the nam yue pork. I don’t mind them being lean though. u shouldn’t!! gather some friends and try everything! 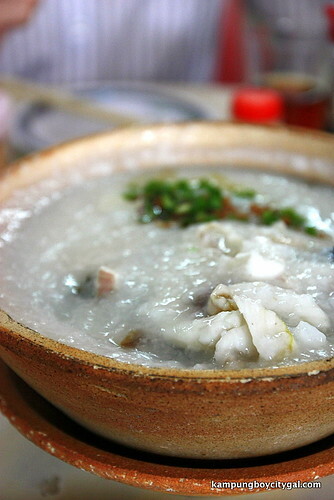 The fish porridge is really fresh and smooth here… Truly to die for! .-= Life for Beginners | Kenny Mah´s last blog ..10 Years: Munich =-. 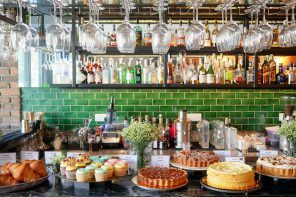 .-= Choi Yen´s last blog ..Canton Kitchen =-. The food looks good here. .-= Boon´s last blog ..New Site =-. Two years ago I was there for the first time and I enjoyed the food so much that I went again and again for many more times. I did not go there again for about a year and I was there again last Tuesday. 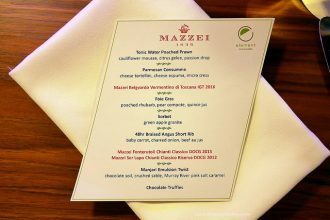 I vowed never to go there again because of all four dishes I ordered, none of them was up to the standard and the price was so expensive.